As the cleaning industry continues to consolidate in 2014, expect to see better cleansing technologies for a broader array of surfaces, as well as more environmentally conscious solutions, as consumers demand better, greener cleaning. Chem-Dry has worked hard to decades to stay ahead of the curve with its eco-friendly cleaning solutions and patented equipment, and the results speak for themselves. We have nearly twice as much market share as our nearest competitor in the carpet cleaning industry and we continue to grow as new carpet cleaners opt to be part of the Chem-Dry brand and established carpet cleaners convert to Chem-Dry in order to boost their business. The cleaning industry is extremely fragmented and a growing number of previously independent carpet cleaners are realizing that franchises offer big advantages. Among these are uniform, professional standards; superior products and operations; and proprietary, cutting-edge equipment. Chem-Dry’s primary cleaning solution, The Natural®, is green-certified, contains no phosphates or detergents and is safe and non-toxic for kids and pets. ● Green cleaning. Every year, as research details the risk of particulates and allergens to respiratory health, consumers are paying more attention to environmentally friendly cleaning standards. Chem-Dry’s primary cleaning solution, The Natural®, is green-certified, contains no phosphates or detergents and is safe and non-toxic for kids and pets. The company’s proprietary hot carbonating extraction process also uses 80% less water than steam cleaning. 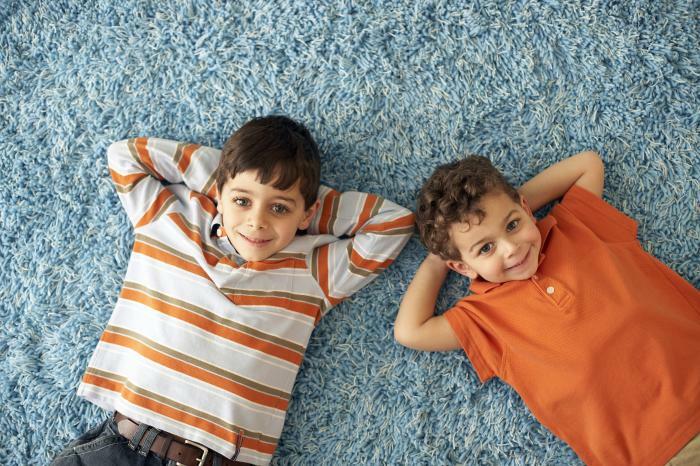 So it not only removes dirt exceptionally well, it allows the carpet to dry in hours instead of days. Quick drying times mean lower risk of mold and mildew growth, a common issue with steam cleaning. ● Diversification. Builders are installing more varied surfaces in homes and offices, including hardwoods, tile and stone. Chem-Dry offers tile, stone and grout cleaning in addition to stain removal and upholstery and drapery cleaning services. Chem-Dry has more than 3,500 franchise units worldwide and has been named a top franchise by Entrepreneur Magazine for 25 years in a row. To learn more, visit www.chemdryfranchise.ie, which features interviews with Chem-Dry owners as well as information about our cleaning process. For more, fill out this form to download a free franchise information report or give us a call at 01 8303940. We look forward to talking with you!